Did the Vikings’ Forefathers Serve in the Roman Army? 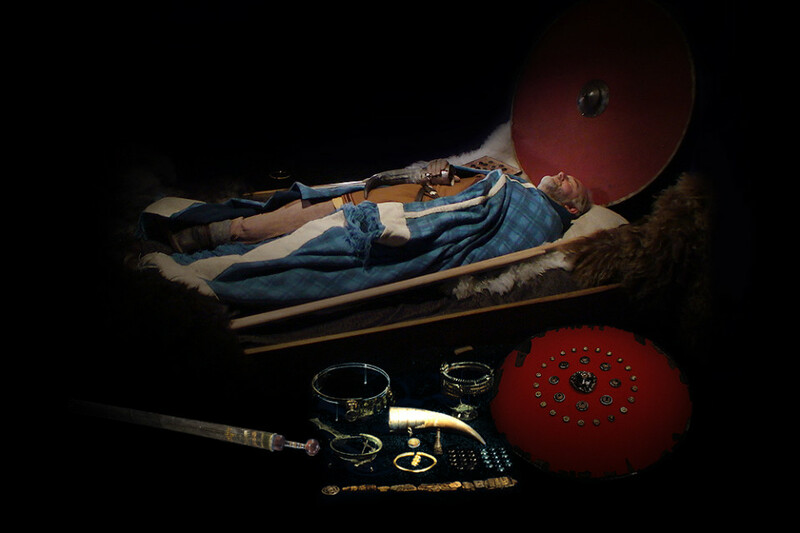 Home › Culture › Did the Vikings’ Forefathers Serve in the Roman Army? There are found a number of Roman artifacts in Norwegian burial mounds. Most famous is the grave belonging to the so-called Flag Mound Prince near the village of Avaldsnes on the west coast of Norway. The contents may indicate that he had a high position in the Roman army. The Prince, who lived during the 3rd century AD, was buried in a large mound which measured 43 meters (141 ft) in diameter and was 5 meters (16.4 ft) high. It was opened in 1834 to 1835 and contained a chamber made of slate slabs with the Prince lying in an oak coffin. 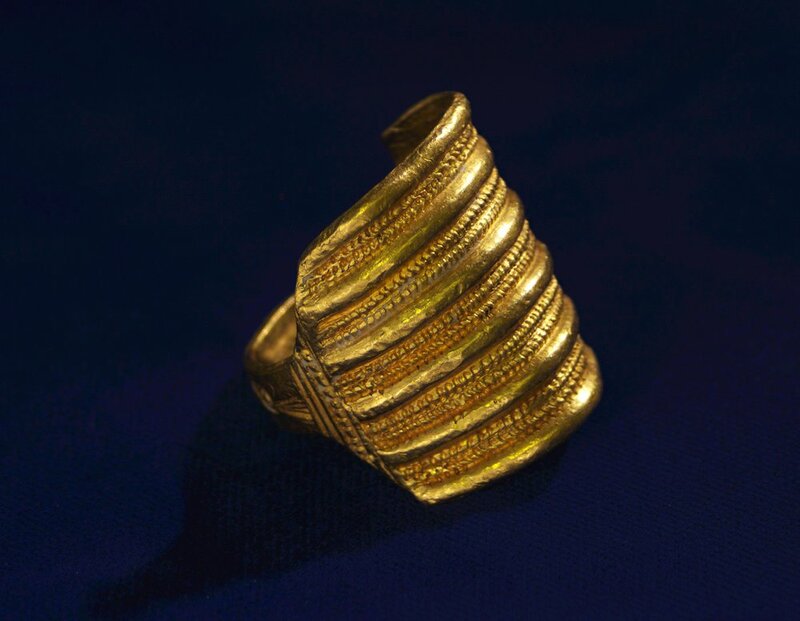 The grave contained more gold than found in any other Scandinavian grave dating back to the Late Roman Empire Period (c.200-400 AD), including four Roman gold rings. It also contained a double-edged sword with a silver ornamented scabbard, a silver ornamented shield and bracelets. Other Roman artifacts were a game board with 31 playing pieces of blue and black glass, a tinned bronze mirror, bronze scales, bronze vases and platters, a silver goblet, silver fittings for drinking horns and a bronze wine strainer. 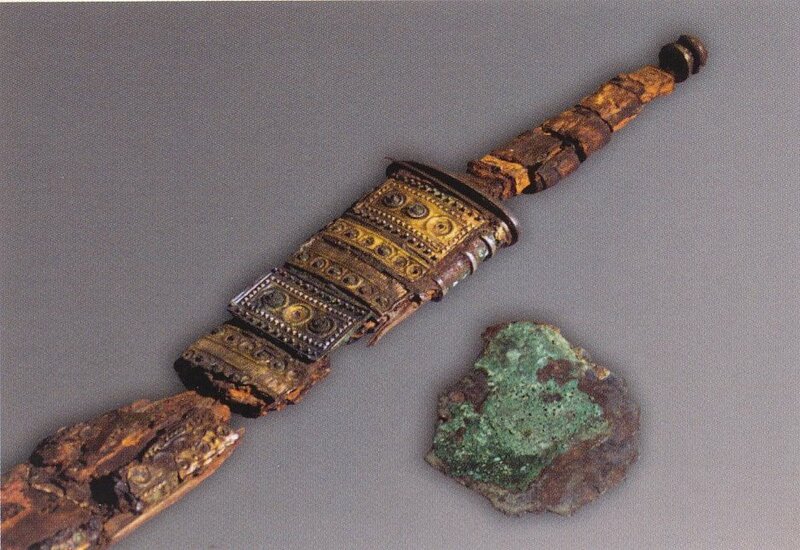 The gorgeous, double-edged “Spatha” sword was the property of the Roman army. So, how did it come into the possession of the Prince? Was he one of the Germanic chieftains who fought against the Romans in Europe and brought it back home as war booty, or had he joined the Romans and was serving as an cavalry officer in the auxiliary (literally ‘help’) troops? At the Battle of the Teutoburg Forest in year 9 AD, a coalition of Germanic tribes ambushed and slaughtered three Roman legions and their auxiliaries. Despite a number of successful campaigns in the years after the battle, the Roman army never again took control of Germanian territory east of the Rhine River. However, it is well known that the Roman army recruited non-citizens who joined the auxiliary units. By the 2nd century, the Auxilia contained the same number of infantry as the legions, and in addition provided almost all of the army’s cavalry. Also Northern-European “barbarians” were recruited and some of them ended up as high-ranked officers and leaders. A drinking and eating bronze can that was typical for soldiers in service of the Roman army is found in several Norwegian burial mounds. It was not unusual that the sons of Germanic chieftains could serve 10-15 years as officers in the Roman army. The Flag Mound Prince may have been one of those who served in the 200s – and the weapons indicate that he had achieved a high military rank. 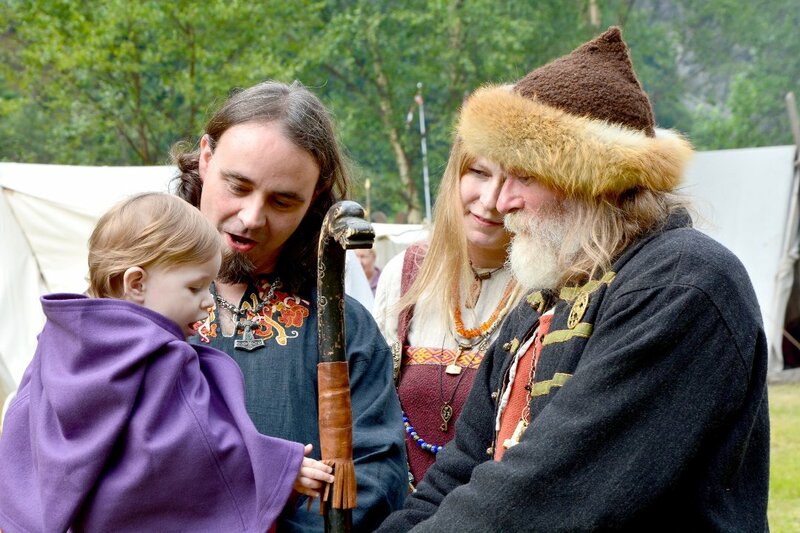 In addition to the artifacts, the Prince may have brought with him something that was even more valuable back to Norway: Knowledge about military strategy, weapons, organization and mentality – something that became very useful for his descendants: The Vikings. You will find more info about the Flag Mound Prince and the findings here. Editor’s note: The text has been updated thanks to valuable inputs from Roman army expert Pavel Šimák. ‹ Why Does China Want to Buy This Island? Reblogged this on Time Slips. Goths were the main soldiers in the roman army. They were only barbarians so their lives was less worth than a roman life. After serving some years they got land from the romans. In germanic territories.